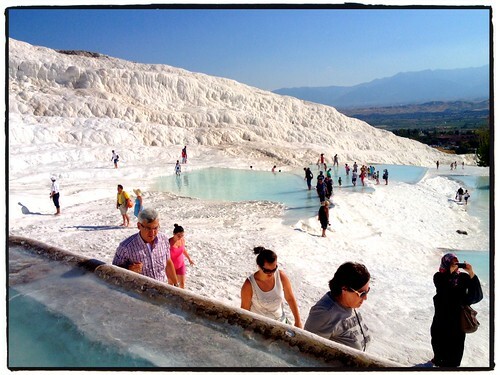 Pamukkale — More than your daily dose of Cal­cium, a photo by tf_82 on Flickr. This entry was posted in Street Photos, Turkey on 25 August, 2013 by Tim Fisher. 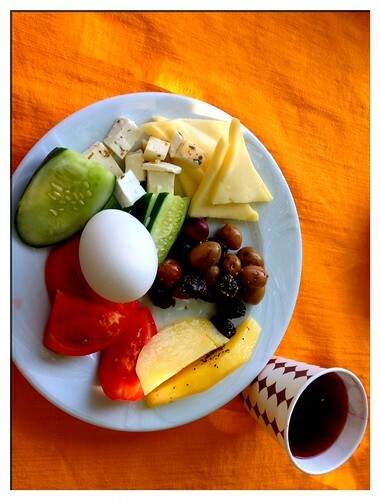 Turk­ish Break­fast!, a photo by tf_82 on Flickr. Fea­tur­ing an unlim­ited sup­ply of sour cherry juice, our new obsession. World famous Istik­lal St. in Istan­bul, a photo by tf_82 on Flickr. 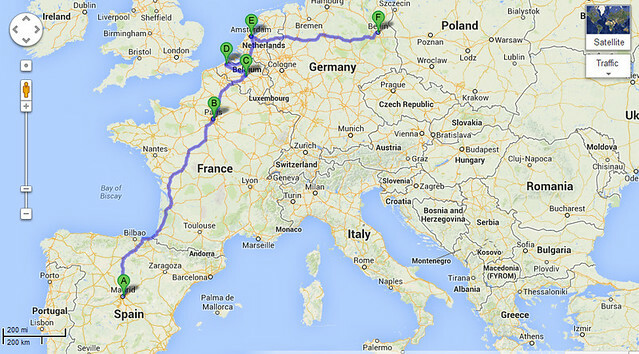 About 10 min­utes from where we are stay­ing. 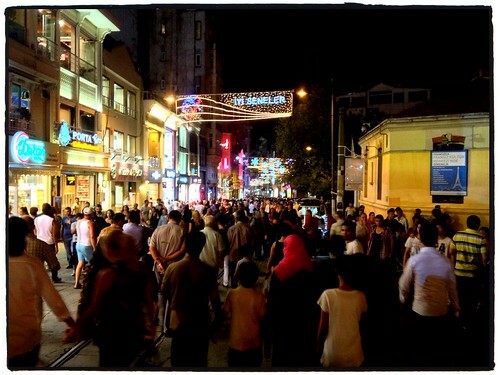 There is never a dull moment on Istiklal. This entry was posted in Street Photos, Turkey on 18 August, 2013 by Tim Fisher. 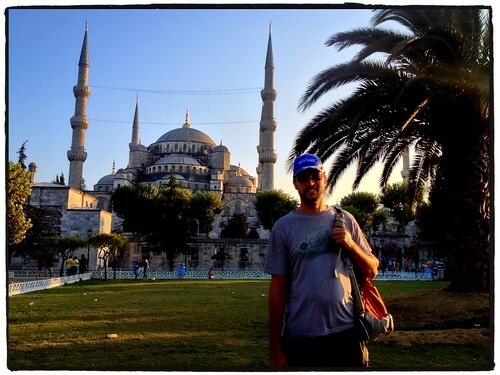 Long Day of Walk­ing Around Istan­bul, a photo by tf_82 on Flickr. This entry was posted in Street Photos, Turkey on 15 August, 2013 by Tim Fisher. Reach­ing for CDs in Varna, a photo by tf_82 on Flickr. 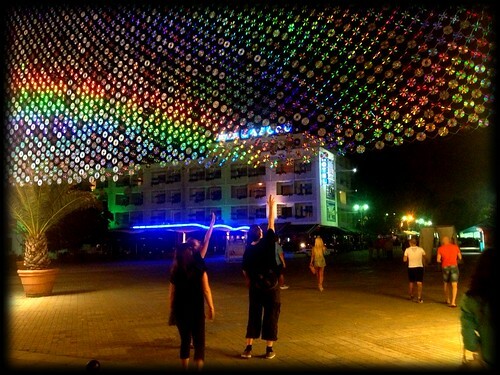 A lit­tle bit of fun after hav­ing a few beers on the beach. This entry was posted in Bulgaria, Street Photos on 13 August, 2013 by Tim Fisher. Our trip to see one of the world’s most beau­ti­ful aban­doned places here in Bul­garia deserves a bit more ded­i­ca­tion than I have the energy to devote tonight, but here is a glimpse of what we saw. 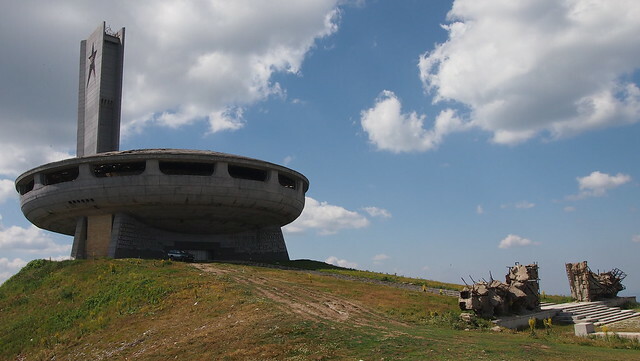 It’s a build­ing that resem­bles a UFO, which is com­pletely aban­doned and looted right down to the cop­per wires that once pro­vided elec­tric­ity to the place. What’s left is the skele­ton of a con­fer­ence hall along with mosaics made from rocks. Included in the images are impor­tant fig­ures of Bul­gar­ian Com­mu­nist Party of the era, the fathers of Soviet com­mu­nism, the all impor­tant work­ers, among other impor­tant sym­bols. More on this later. This entry was posted in Bulgaria, Street Photos on 8 August, 2013 by Tim Fisher. 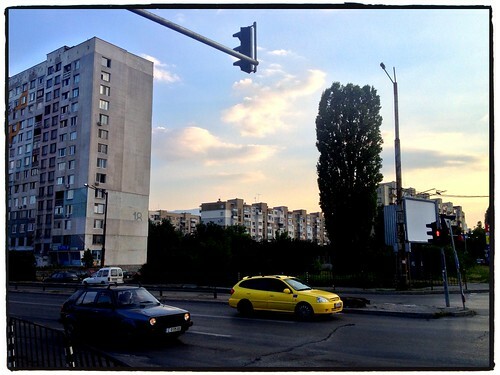 Soviet Era Apart­ments in Sofia, a photo by tf_82 on Flickr. Sun­set in Sofia, Bul­garia, a photo by tf_82 on Flickr. 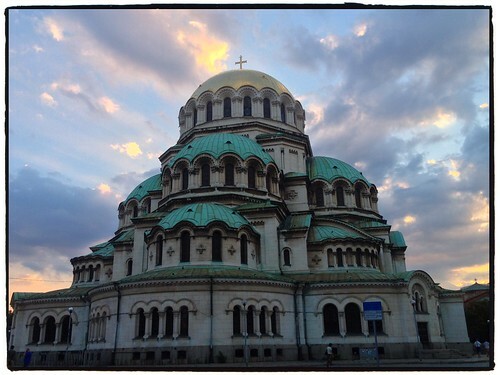 The Free Sofia Walk­ing tour was a high­light. It ended as the sun was set­ting in front of this building. Team Canada @ Deaf­olympics 2013 in Sofia, Bul­garia, a photo by tf_82 on Flickr. It was not long after arriv­ing to Sofia when we noticed there was an unusual amount of peo­ple using sign lan­guage around town. 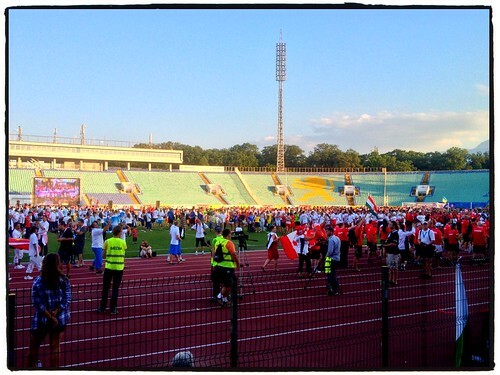 Turns out the Deaf­olympics was hap­pen­ing this week and we attended the clos­ing cer­e­mony yesterday. This entry was posted in Bulgaria, Street Photos on 5 August, 2013 by Tim Fisher.